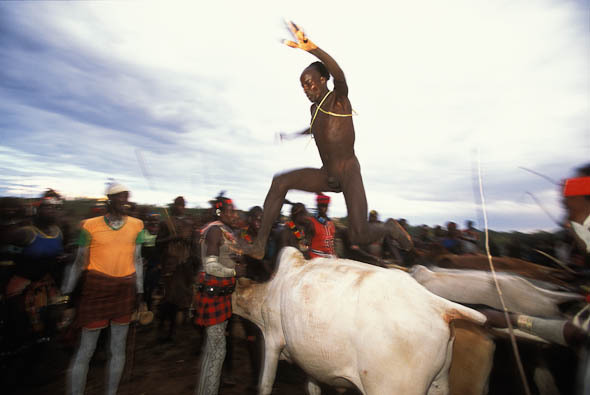 Before a Hamar man may marry he must first perform ukuli bula, the bull jump. 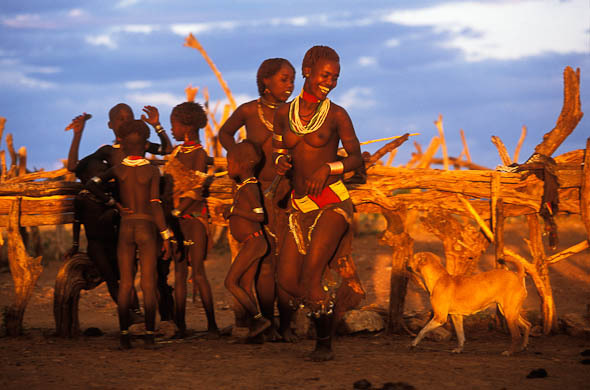 A group of bullocks are lined up, side by side, and the young man runs naked four times across their backs. Together with other men who have performed the jump, he must also live for some time in the wilderness. Then he is ready for betrothal and marriage. 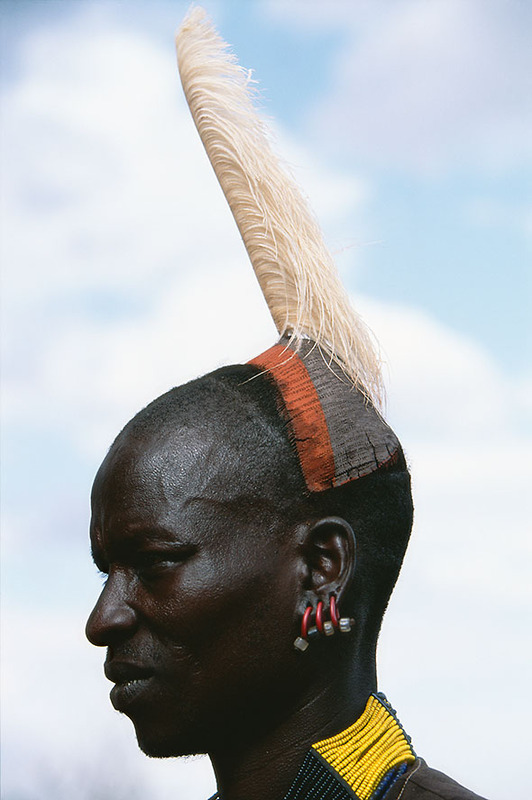 Male relatives often have a new clay hairdo, topped by an ostrich feather, arranged before the jump. An expert is hired to handle the expensive clay, which is imported from enemy territory in the south. Sisters and female cousins show their devotion to the initiate in many ways. For weeks leading up to the ceremony they dance every morning and afternoon, singing of their excitement about his bull jump. The men hold the bullocks still while the initiate runs over their backs twice in both directions. By successfully completing his jump the young man becomes a maz and is ready to marry. It may take a year or two between the betrothal and the bride-to-be moving in to her new home. 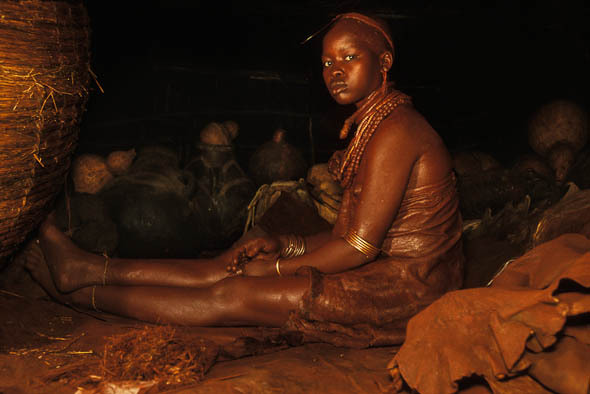 She then spends the first three months of her new life living alone in the loft, where she receives daily treatments of butter and red ochre to ward off evil. After this, the marriage is finally consummated.